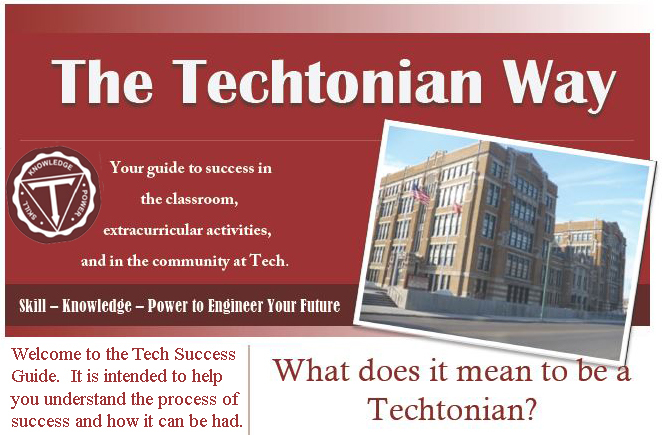 We here at Hutch Tech envision our learning community as the premiere technical preparatory high school in the greater Buffalo Niagara region. Our graduates possess the knowledge, skill, and power to not just compete, but excel in the pursuit of continued academic and career readiness fully aware of the challenges and opportunities of a global economy. The seeds of intellectual and academic excellence must be cultivated in the fertile soil of personal responsibility, discipline, and character to reach their full potential. The curriculum has been revamped and expanded continuously for entrance into schools of engineering and or the training of technicians for entry-level positions in current technical fields. The programs the school now offers includes bio-chemical technology, computer technology, and engineering technology (electrical, mechanical, and architectural). Instruction in electricity and electronics is also provided. Hutch-Tech also offers a selection of college prep courses including Advanced Placement that both helped their major, and helped them meet their general education requirements that most colleges require. The courses include AP English Comp, AP English Lit, AP Biology, AP Chemistry, AP Calculus, AP United States History, AP World History, AP Physics, and AP Psychology.. The following information is provided to give you the best chance for acceptance to Hutch Tech now that you have taken the exam. Current Buffalo Public School Students see your Guidance Counselor. Have the teacher evaluation page (page 3 of 2019-2020 application) and 2017-2018 grades filled out by school personnel. Please submit paper work before or on DEADLINE FRIDAY DECEMBER 1, 2018 even if taking the January 10th make up exam. PLEASE NOTE: Students who take the City Honors/Olmsted test and receive a letter of acceptance will not be obligated to attend either school until the Hutch Tech results are available. On behalf of myself and the entire Hutch Tech family, I thank you for your interest in our school and hope to see you in the class of 2023. Hutchinson Central Technical High School, informally known as Hutch-Tech, is a high school in the City of Buffalo, New York. Its founding on September 14, 1904 under the name Mechanics Arts High School marked the beginning of technical education on the secondary level in the city of Buffalo. We at Hutchinson Central Technical High School envision our learning community as the premier technical preparatory high school in the Greater Buffalo/ Niagara Region. Our graduates possess the skill, knowledge, and power to compete and excel in the pursuit of continued academic and career readiness fully aware of the challenges and opportunities of a global economy. The seeds of intellectual and academic excellence are cultivated in the fertile soil of personal responsibility, discipline, and character to reach their full potential. and swell our joyous song. with voices brave and strong. to Tech our song we raise. To Tech, our hearts are ever near. Our lives shall be her praise. How long until AP Exam Week(s) Begin?